The Sonoran Desert covers roughly half of Arizona, but standing in downtown Chandler, you really don’t see much evidence of it. And, that’s too bad because if you don’t experience the Sonoran Desert on some level while visiting Chandler, you’re missing out on a big part of what makes the area so unique. Not sure how to experience the Sonoran Desert (or even where to go)? Here are seven ways you can explore and plenty of places to immerse yourself in the Sonoran Desert while visiting Chandler, Arizona. 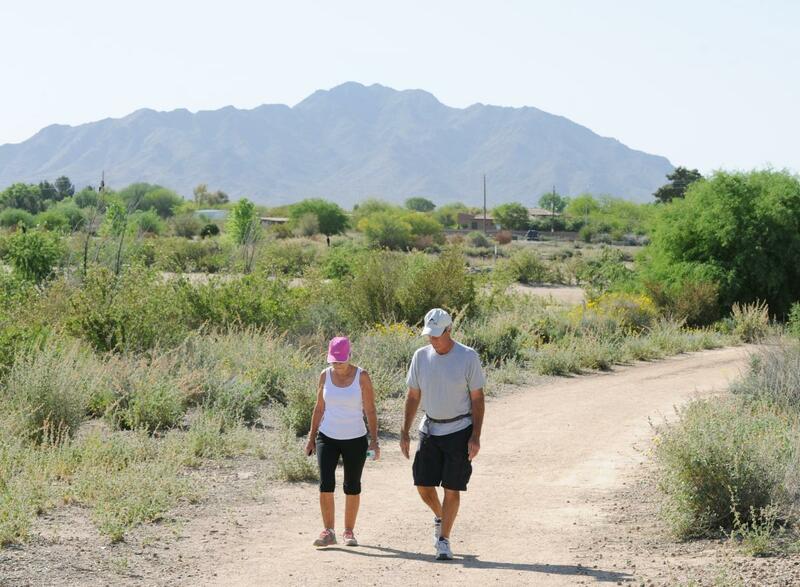 Hiking is one of the best ways to explore the Sonoran Desert, and Chandler is a short drive from two of the Valley’s most popular options: South Mountain Park and San Tan Regional Park. South Mountain Park spans nearly 17,000 square acres and has more than 50 miles of trails. Begin your visit with a stop at South Mountain Environmental Educational Center, the park’s visitors’ center, where you’ll find exhibits on local flora and fauna. Just south of neighboring Queen Creek, you can explore the Sonoran Desert in San Tan Regional Park. The park has several trails, including the 2.5-mile Goldmine Trail with its views of the East Valley, and a visitor center with a desert tortoise habitat. Other options for Sonoran Desert hikes include Camelback Mountain, Piestewa Peak, and McDowell Sonoran Preserve. Before you head out, review some great safety tips for Hiking in Arizona! Mountain bikes are welcome on most trails at South Mountain Park and San Tan Regional Park, as well as the McDowell Sonoran Preserve in Scottsdale. You can also ride a cruiser or bicycle along much of the Maricopa Trail, a 315-mile trail which cuts through Chandler and passes Sonoran Desert as it loops the Valley. Several shops rent mountain bikes, cruises, and street bicycles, including Arizona Bike Rentals in Chandler. Arizona Outback Adventures in Scottsdale offers guided rides in addition to rentals. If you want to explore South Mountain Park on a mountain bike, Cactus Adventures will meet you with your rental at Arizona Grand Resort, just minutes from the park’s Pima Canyon Trailhead. You’re more likely to see wildlife on horseback than on foot or bike. At Koli Equestrian Center, watch for jackrabbits, quail and even wild horses as you ride through the Gila River Indian Reservation. Along the way, native guides point out the plants of the Sonoran Desert and share stories of their people and culture on daily group rides. Private rides can also be arranged. 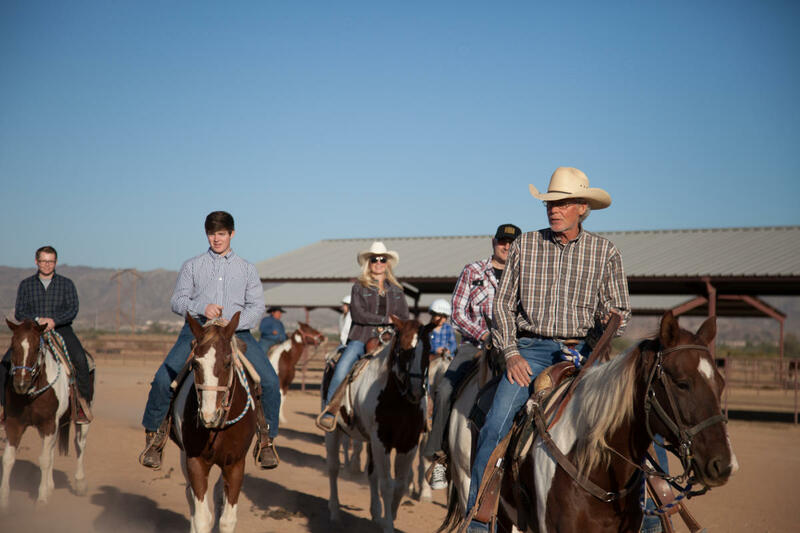 If you want to ride in South Mountain Park, Ponderosa Stables is the only guided horse rental concessionaire permitted to operate in the park. You can book a 1-hour, 2-hour, 3-hour, 4-hour, or full day ride as well as breakfast, lunch, and dinner rides. Ponderosa also offers wagon rides if you’re traveling with small children. Whichever option you choose, your guide will tell you about the Sonoran Desert and its wildlife. 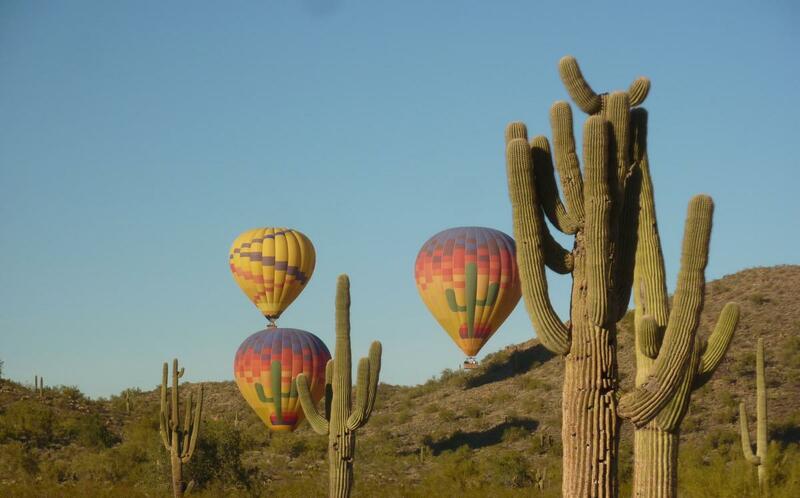 For a bird’s-eye view of the Sonoran Desert, book a hot air balloon ride. Most rides begin at a low altitude allowing you to see jackrabbits, quail, roadrunner, and maybe even a coyote or deer. As the ride progresses, expect to reach approximately 3,000 feet (although some flights go as high as 5,000 feet depending on weather conditions). From this altitude, you can gain an appreciation for just how immense the Sonoran Desert is. Three of the Valley’s most trusted balloon companies—Hot Air Expeditions, Rainbow Ryders, and Aerogelic Ballooning—launch north of Phoenix, but Aerogelic Ballooning offers south of the Valley launches, too. Depending on the weather and the wind, you may fly over Chandler on an Aerogelic Ballooning flight. You don’t have to go any further than Veterans Oasis Park in Chandler to experience the Sonoran Desert. 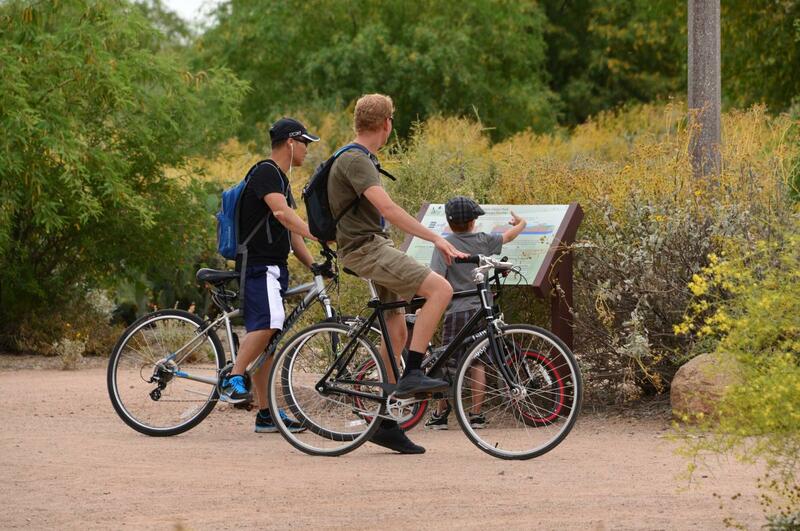 The 113-acre park has 4.5-miles of trails through both arid landscapes and lush wetlands. While visiting, you can meander past the butterfly and hummingbird habitat, watch wildlife from camouflaged viewing areas, and take a selfie at the small waterfall. To learn more about the Sonoran Desert, drop by the park’s Environmental Education Center. On display, you’ll find several desert exhibits, including actual desert animals. The center’s gift store is a great place to pick up books about the Sonoran Desert, native seeds, and other fun souvenirs. If you’re interested in the plants of the Sonoran Desert, head to the Desert Botanical Garden. 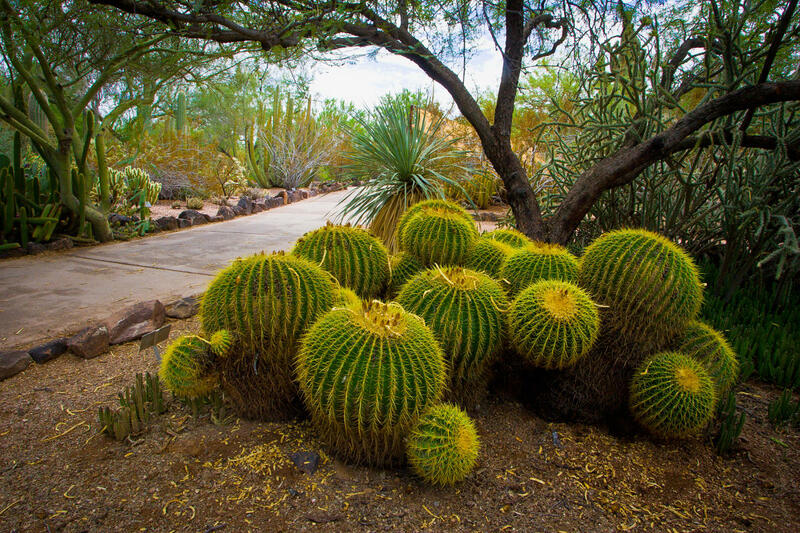 This world-renowned botanical garden five trails—Desert Discovery, Plants & People of the Sonoran Desert, Desert Wildflower, Sonoran Desert Nature, and Center for Desert Living—all of which provide information on the desert’s plants as well as its animals and people. Several tours and classes can add to your understanding and appreciation of the Sonoran Desert. From October 1 through May 14, the botanical garden offers free, docent-led tours and sets up stations manned by docents who can answer questions. On Tuesday, Wednesday and Thursday from October 3 to May 10, you can also take a free, behind-the-scenes horticulture tour of the Hazel Hare Center for Plant Science. These tours begin at 10 a.m.
For those interested in the Sonoran Desert, the zoo’s Arizona Trail is dedicated to native animals, including the Mexican grey wolf, coyote, Sonoran pronghorn, cougar, javelina, and rattlesnakes in the reptile house. Not only will you see these and other animals, but you’ll also learn how they have adapted to conditions here and continue to survive.